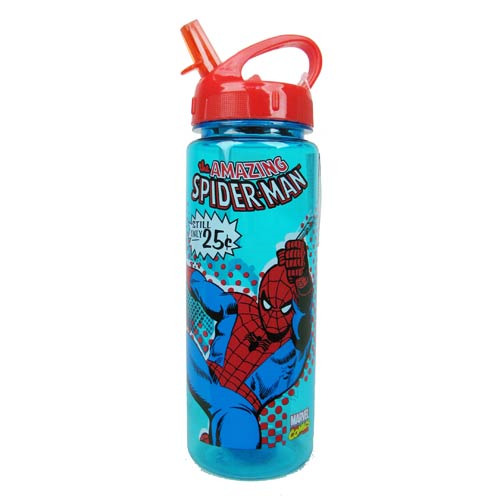 Hydrate in style with Marvel's number 1 web-crawler! This Spider-Man 25 Cents 20 oz. Tritan Water Bottle features an image of Spidey swinging through the air on a blue background, with Spider-Man yelling the words, "Still only 25 cents!" The water bottle comes with built-in straw and holds up to 20 ounces of liquid. Hand wash only. Do not place in freezer or microwave oven. Ages 8 and up.